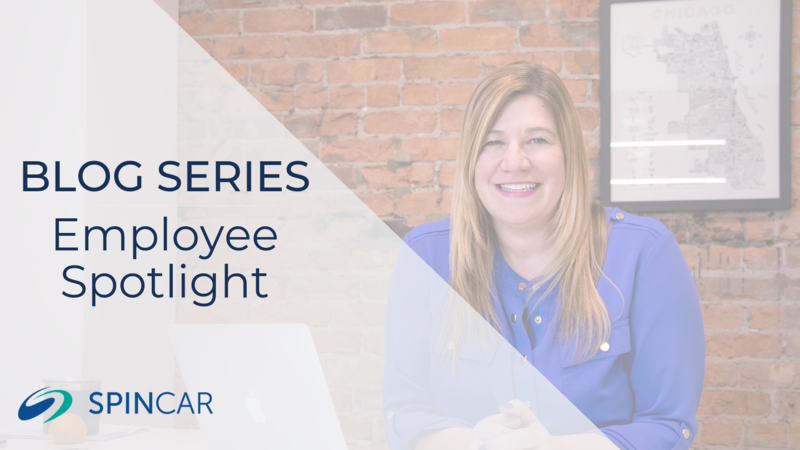 As part of Women’s History Month and the 2019 #BalanceForBetter campaign, our VP of Customer Success, Andi Myers, shares how she forged her way to SpinCar through opportunity and achievement. What inspired you to pursue a career in automotive? Honestly, I stumbled upon automotive. I saw a job I wanted even though I didn’t meet all the job requirements. I applied for it anyway, hoping for the best. I was fortunate to talk with a recruiter who was able to match my skill set with the right position which leveraged the skills I had and provide the career growth I desired. What was your career path like and how did you find your way to SpinCar? I started my career in retail merchandising. I traveled to several big box stores to ensure their product was properly placed to drive optimum sales. I then spent a large portion of my career on the sales side of banking where I learned about building relationships. The marriage of product sales and relationship sales was the perfect framework for success in automotive. I continued on to a third party automotive marketplace where I learned the intricacies of the automotive market and gained on-the-ground experience to help shape the best ways to support our dealership customers. While I loved my job there, I had an opportunity to talk with Mike Quigley, one of the founders of SpinCar, about SpinCar’s technology and I knew I wanted to be part of the next phase of their growth. Who helped you along the way? Did you have any mentors? I’ve been very fortunate to have so many people who cared about me. Family, friends, coaches, teachers, and managers were instrumental in helping me become who I am today. My parents encouraged me at a young age to participate in sports. It was there that I learned about the spirit of competition, how to win and lose and what I needed to do to take my game to the next level. However, in order to do any of those things, I needed to be open to feedback and advice - and learn not to fear change. What obstacles did you face as your career progressed and what were the most valuable lessons you learned from them? I made a choice early on to see all perceived obstacles as opportunities. I came to this realization after I applied for and interviewed for an internal job – and didn’t get it. I was devastated. I felt that I was the most qualified because of what I had accomplished in my current role. I was told I didn’t get the role because I wasn’t “visionary,” and I thought this was poor feedback. I felt I provided vision all the time in my current role and thought to myself, “maybe I just needed to share better examples.” Then, someone shared a great insight with me: if you really want a job, just start doing that job. It was in that moment that I realized the obstacle standing in the way was me. I needed to show vision for the new role I was interested in. I need to show what I could do if I was in the role. I shifted to a growth mindset and utilized this new state of mind the next time I applied. This was a new opportunity to go about things differently - and I got the job this time. What advice would you give to someone that wants to take their career to the next level? Don’t put your fate in anyone else’s hands. Your career is what you make of it. Always keep a growth mindset, be open to feedback and never stop learning.